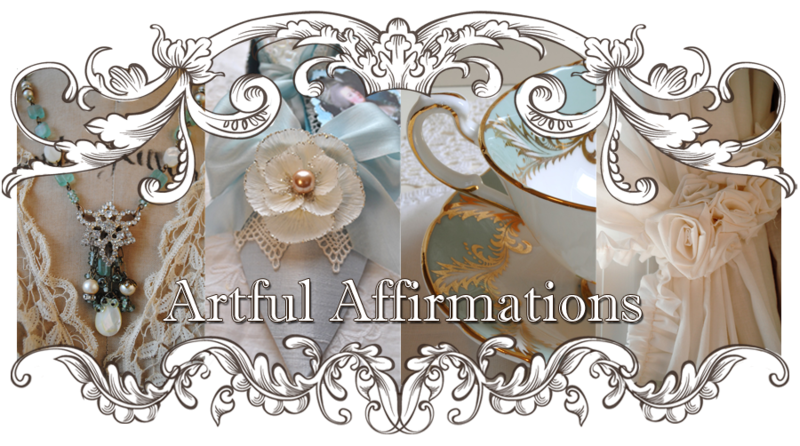 Artful Affirmations: Tea Cup Tuesday-Peachy Pink! What a prety teacup and saucer Terri! And looks lovley nestled in your flowers! I hope you and your family have a wonderful Easter! I love your tea cup choice today! Thank you for hosting this great event! Lovely Paragon teacup. Love the pastels. Your domino cuties are fab! Who knew? How lovely! I just love the colors. Hi Terri, Beautiful peach teacup you have, looks so vintage! the pastels are so lovely! thanks for sharing your beauties with us today. 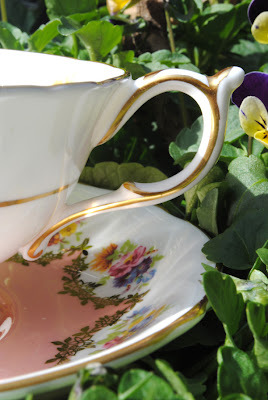 Terri what a beautiful cup and saucer and the colour just glows, especially as you have taken the photos in the spring sunshine. 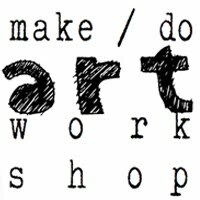 Thank you for the pointer to the domino book tutorials. I must pop over to have a look. 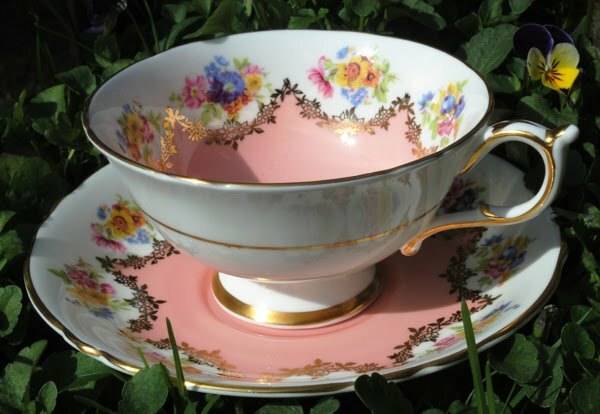 What a beautiful teacup Terri! 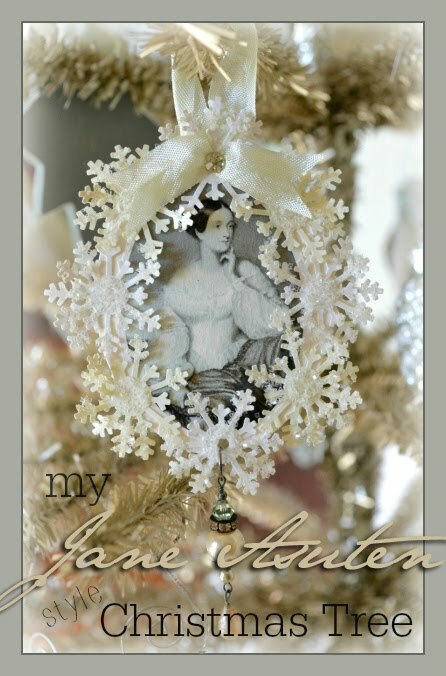 Wonderful decoration! 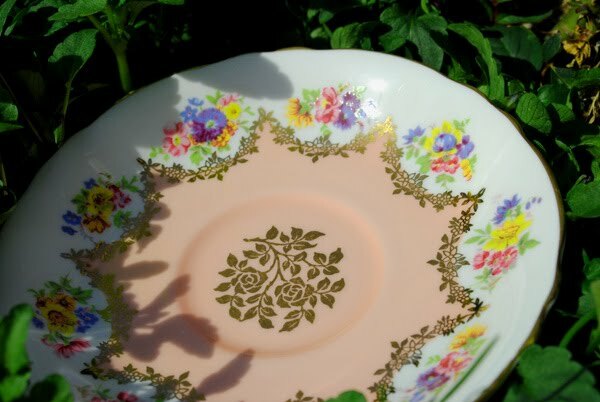 i'm so drooling at your paragon rose teacup and saucer!! soo gorgeous!! i also love the beautiful book from dominos, I'm so tempted to try and make one! 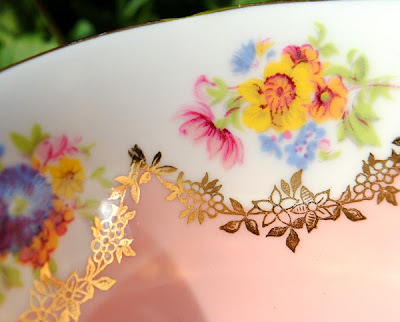 always love your teacups collection and lovely post! Oh, that tea cup and saucer set is just gorgeous! That is a real keeper. Thanks so much for hosting the party. 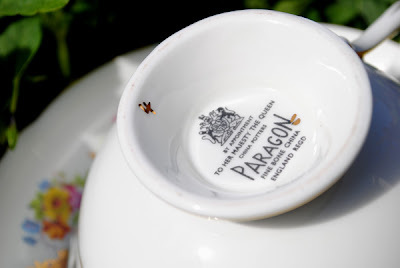 I just love Paragon teacups - and I never knew all the interesting history - thank you for sharing!! Your cup is absolutely gorgeous! Love that teacup- and the domino book is so cute!! Might have to try one of those one day!! !Drop by for tea, if you get a chance!! 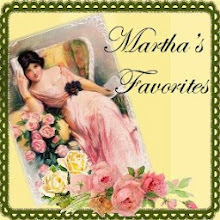 Terri, thank you so much for posting my link. What fun. 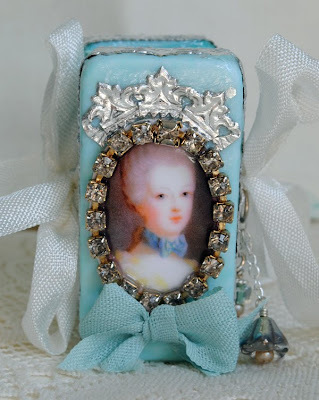 I just found the cup I'm sending to Wanda for the swap yesterday, and I can't wait to post it next week. Your peachy pink with all that gold is gorgeous! Your cup is just my cup of tea! 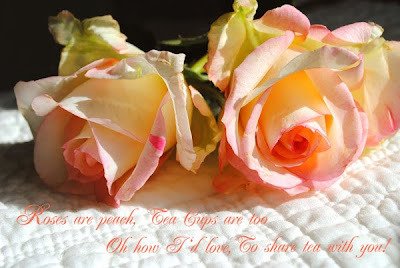 *smiles* I love the colour peach and your teacup is simply stunning with its gold garland and bouquets of posies! Love it! Thanks for stopping by and Happy Easter to you. I enjoy having tea with you, too! Beautiful peach cup and love your little book. I just love your teacup of the day so beautiful. And I love your domino books! Absolutely beautiful teacup - love the pink color and the flowers! Simply gorgeous! 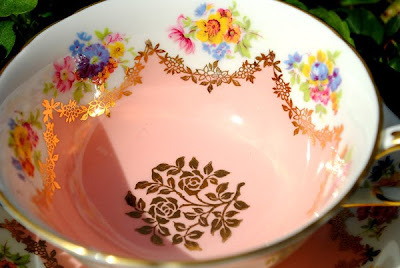 This is such a beautiful tea cup and I really love the peachy pink color!! It would look great in my Living Room!! Wink!! And you domino creation is just the cutest thing!! You are so talented!! Have a lovely Easter weekend!! Your teacup is lovely! I also love your little domino book. Very cute! Have a lovely Easter! I am hard pressed to decide which is more lovely - the roses (are they Chicago peace?) or the tea cup and saucer. What a lovely color in the tea cup. Thanks for sharing. I LOVE your tea cup this week! So beautiful. I wish we had flowers out already. I love Johnny Jump Ups. I'm still waiting for our snow to melt! 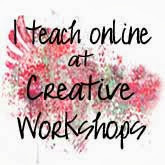 Well you are certainly very talented your crafty videos are awesome! What a gorgeous cup and saucer. I love the pink color and beautiful gold swags. Your domino books are wonderful. I LOVE those little domino books! I have never seen them before and I think it's a wonderful idea! Thank you SO MUCH for sharing! Wow, if I were to have guessed, I would have guessed that beautiful tea cup was Royal Doulton or Haviland. So now I know. Somehow tea or coffee tastes better when drunk from a fine china cup. Terri, thanks so much for hosting the Easter Tea Cup Swap! I had a wonderful partner and I love the tea cup she sent me, an OVERSIZED one with roses. I enjoy your beautiful teacup pictures! this Paragon cup ist really outstanding nice. 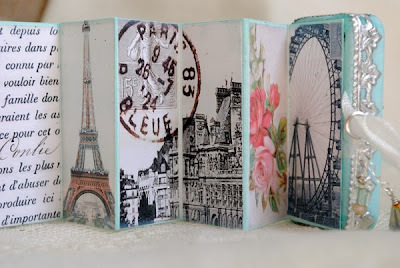 And it matches in this romantic look perfect with the little Domino book. I have never seen such a little book and love it. 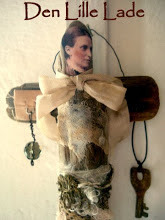 Next time I will visist Holly and have a look at her books. That's an amazing hobby. What a BEAUTIFUL set, the garden and sunshine look lovely!! I hope you are doing well! 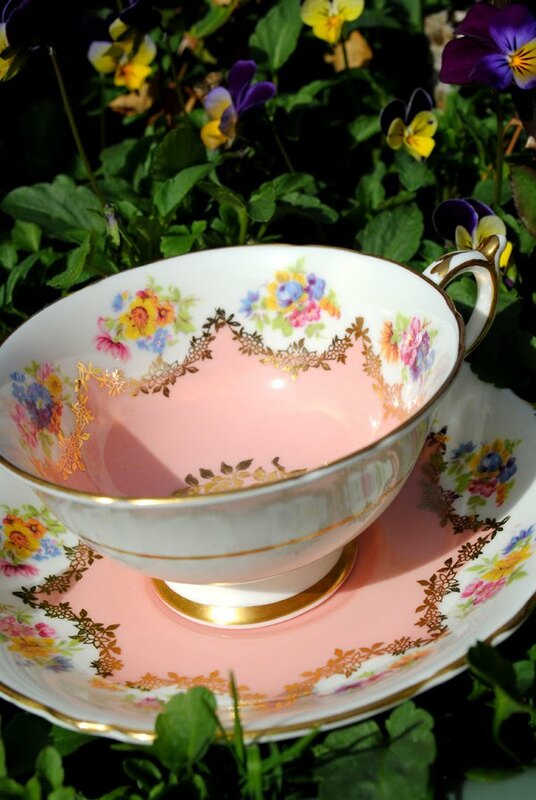 Terri, the first word that comes to my mind when I see this stunning cup and saucer is 'gaiety'! It truly exudes much joy. It's as if the design on the cup is throwing a party. 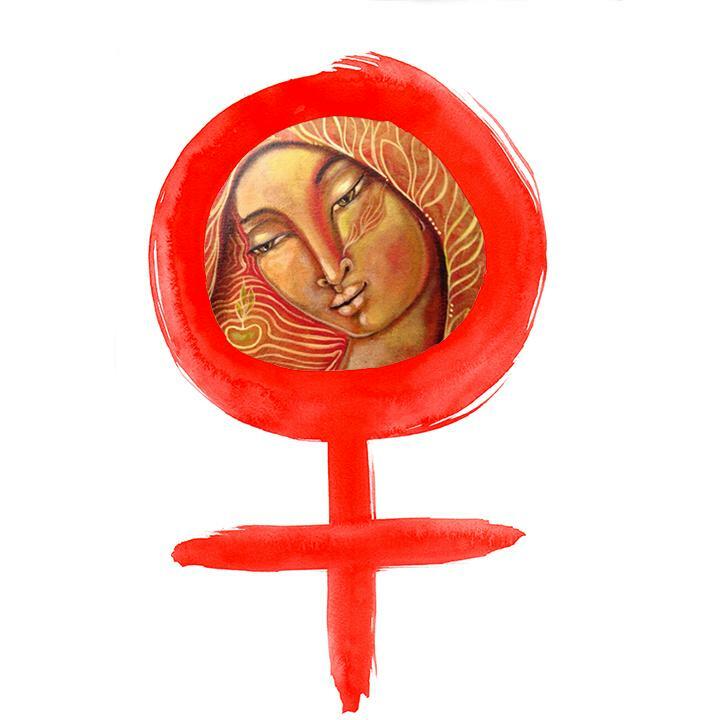 Thank you for sharing this and have a fantastic day! Terri, I just love teacups that have pretty designs inside of them too. This one's a beauty. So is the little "book". 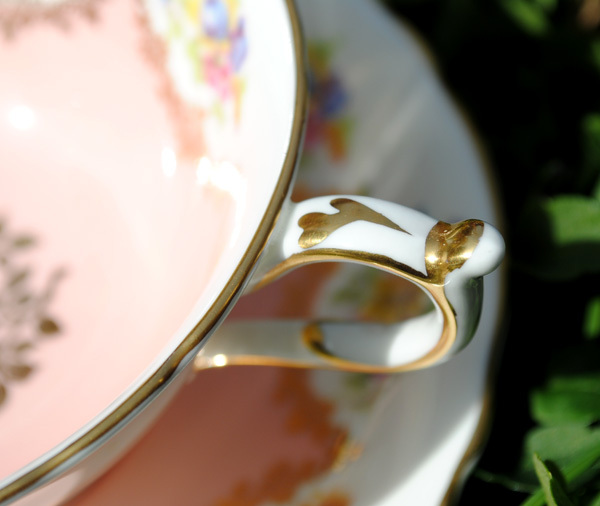 Such an elegant teacup, and so very beautiful! I love the domino book you made, too--you are amazing!!!! Hi Terri! Yay....i am in love with this cup..how dainty, elegant and super charming! I also love that you have it outside...beautiful! 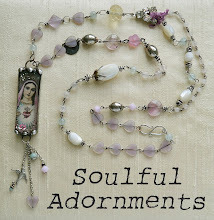 gorgeous post..and love the domino ..fabulous! 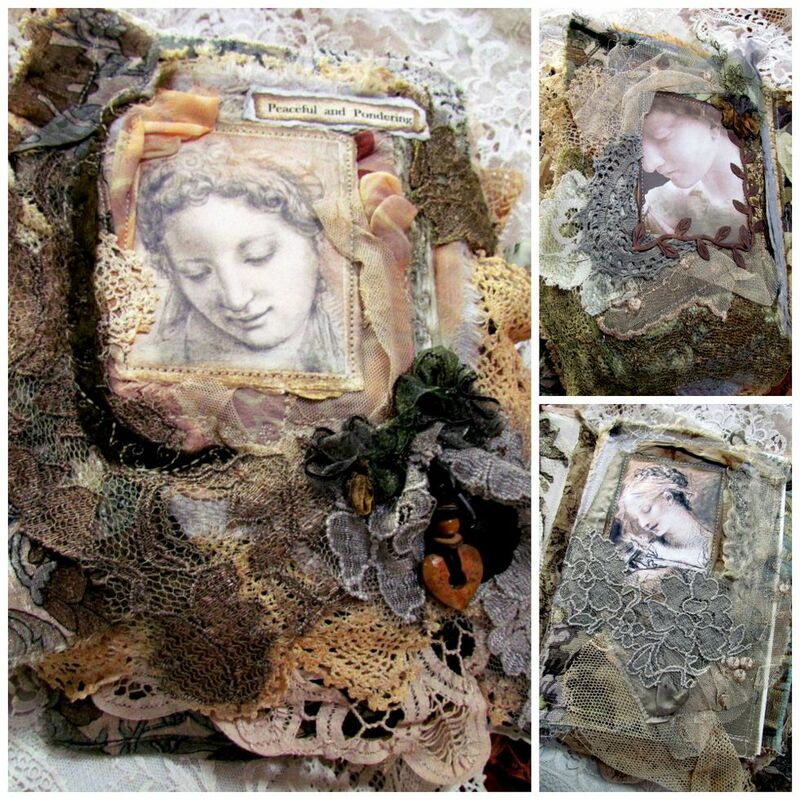 Your Marie Book is also gorgeous! You're very talented!